The tourist base "Hunting Lodge" is located in the heart of the Belbek valley. Limestone, rocks, clean mountain air, calm atmosphere, picturesque landscapes and health-improving nature prevail in this area. 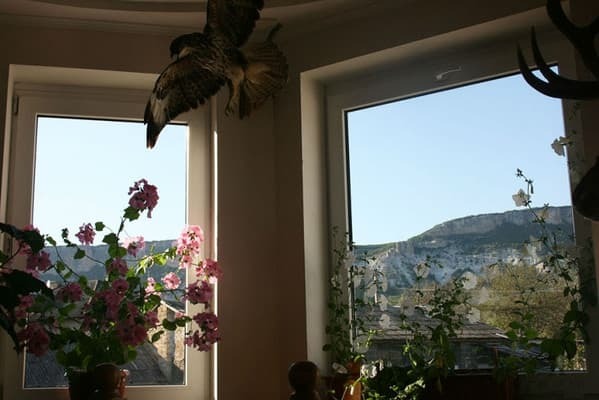 The tourist base "Hunter's House" is specially created for rest and hunting in Crimea. It offers accommodation in standard, junior suite and deluxe rooms. Each room has a TV, fan / air conditioning, a wardrobe, free Wi-Fi, a bathroom. Breakfast is included in the room rate, served in the dining room on the 1st floor of the hotel. 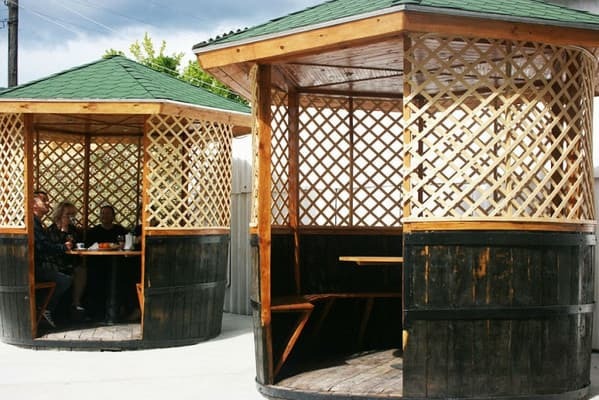 Perhaps a comprehensive or customized menu, as well as guests will be offered exclusive, natural, eco-friendly dishes from game, shot in the Crimean mountains. 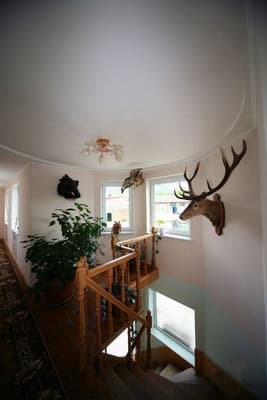 Here you can spend both quiet and active holidays: fishing, hunting (in Bakhchisaray forest lands you can hunt for quail, woodcock, pheasant, deer, wild boar, roe deer, and waterfowl), to go through any route on the ATV. In the village guests can visit real Russian baths, taste home-made wine and organic meat. 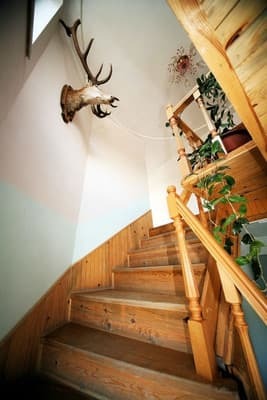 The tourist base "Hunter's House" provides services to experienced huntsmen accompanying hunters during the entire hunting process. Bakhchisaray is a 25-minute drive away. Description of the room: One room: two beds, a sofa, a wardrobe, a TV. 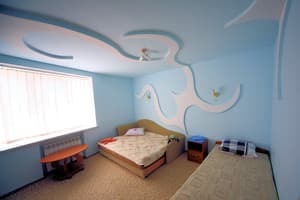 For a single person, the room rate is 200 UAH. 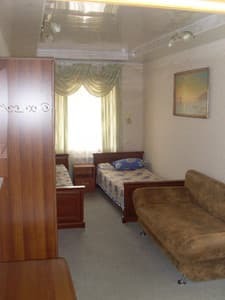 Description of the room: Spacious one-room: double sofa, single bed, wardrobe, TV. For a single person, the room rate is 200 UAH. Description of the room: Double bed, sofa, air conditioning, TV. For a single person, the room rate will be 350-400 UAH depending on the season. Description of the room: Two beds and a sofa or three beds, air conditioning, TV, wardrobe. For a single person, the room rate will be 350-400 UAH depending on the season. В принципе, все понравилось... Хорошая гостиница, внимательный персонал. В гостинице еще не закончена стройка части помещений (во дворе), поэтому во дворе мало беседок, и в общем - двор еще явно не закончен. Расположен в очень хорошем, тихом и уютном места. Имея атомобиль, легко добраться до любого места Крыма. Набравшись чуть больше опыта в гостиничном бизнесе и сфере обслуживания, это будет отличным местом отдыха. Сервис пока еще "сыроват". Видно, что работают недавно и пока еще служба неотлажена. Отель еще недостроен, нуждается во внешней отделке и обустройстве внутреннего двора. Несмотря на то, что я забронировал номер с включенным завтраком, за завтрак мне пришлось платить. Children under 7 years old live free of charge without providing extra space. The cost of additional space is 150 UAH. Belbek valley, the nearest grocery store in 10 m, the river in 100 m. Bakhchisarai is 25 minutes away. 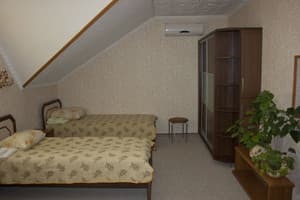 In the tourist base "Hunter's House" there is a room for the treatment of manual therapy "treatment of the musculoskeletal system with the use of phytotherapy." 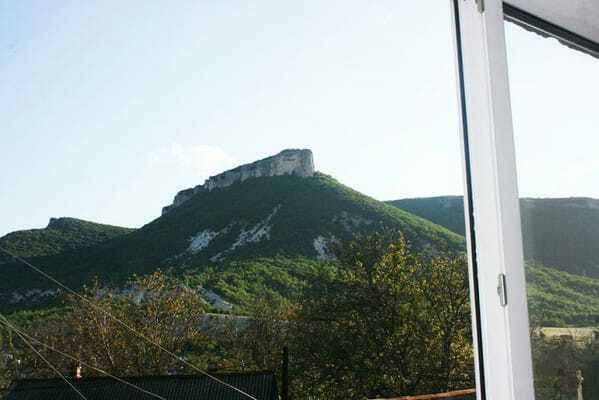 From Simferopol and Sevastopol by train, shuttle bus or public bus to the village. Kuibyshev.